Shivoo Balloons | Event Decor Specialist in Coburg North. Tina Giunta began Shivoo Balloons in Melbourne, Australia in 2000 as a small, home-based business. After outgrowing the family home, in 2009 Shivoo moved to its current location in a studio warehouse in Pascoe Vale and is now decorating large scale private functions and corporate events all over Melbourne. Tina is an award winning certified balloon artist and was one of the very first people in Australia to contribute to the Organic Balloon Design movement, which has now exploded in popularity across the globe. 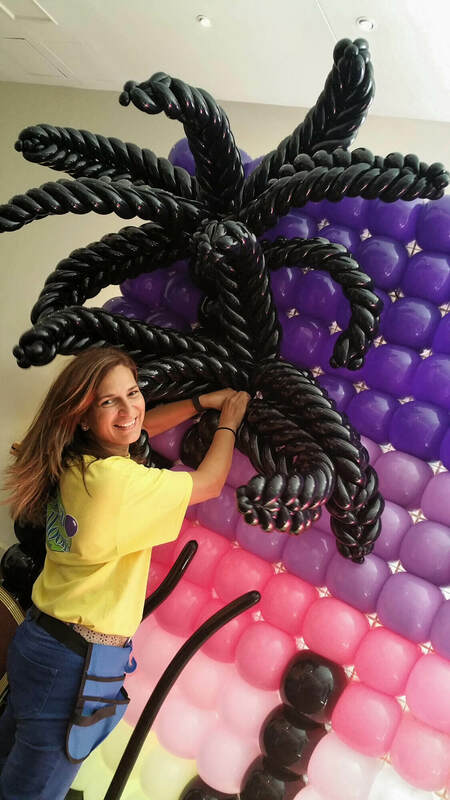 When she’s not setting up balloon decor for private functions, corporate events, and more, she can be found teaching her art abroad, in places like the U.S.A, Israel, and Brazil, to name a few. A proud member of the Balloon Artists and Suppliers Association of Victoria (BASA Vic) and the Pro Environment Balloon Alliance (PEBA), Shivoo Balloons provides excellence in creative design, while also being dedicated to protecting and preserving the environment.